Thinking back to the last car trip I took with my family; we were running late to get to a KOA before nightfall. With a three-year-old and five-year-old in tow, we had to make numerous stops along the way every time the kids had to go. All the beverages we were downing were not helping the situation because the kids had to go and when they had to go we had to stop. At that point, I remember thinking that if we had a portable toilet at hand it would have shortened the pitstops we took and we would not have been so late. That was years ago, and we finally got around to buying a recreational vehicle for your our annual family road trips. Top of the list was making sure that the RV was comfortable enough to see us through those road journeys. I thought back to our past car trips, and I knew that I had to get the best RV toilet aboard. We love to travel, but we also love our privacy… Hence us making an article about this product to help you along your search and make the rigth choice. Research enlightened me about the various options available, and I believe it could be helpful for someone in the same position looking for an RV toilet. When traveling, nothing is better than having a place that you can call your home in the meantime. Many people even live for years in a trailer, which, although requires more work, can be pretty nifty to consider. Trailer parks are a rather popular way of living, with many people enjoying the sense of adventure! There are some things that one should think about before buying one of these of any kind. For instance, there are many types to choose from, each coming with their own features, pros, and cons. So let’s take a look at two of these. When it comes to the differences, there are a few to point out. 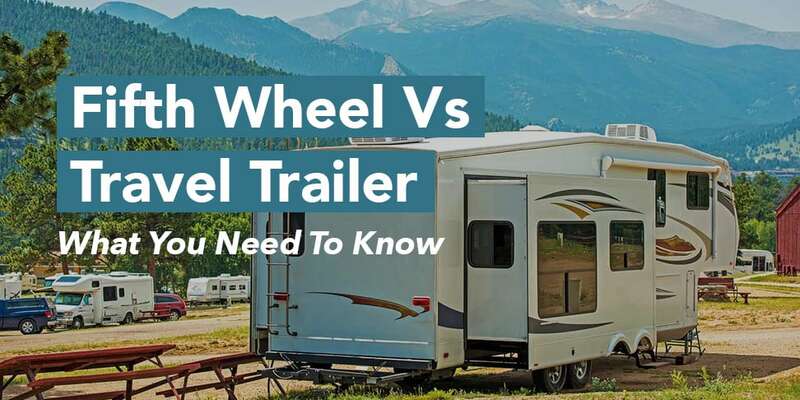 For instance, a fifth wheel tends to be roomier and is easier to maneuver when backing up.It is easier to hook up to a truck as well, making it a great option. However, the travel trailer tends to be cheaper, can be towed around even if you do not have a truck, and it is much easier for boondocking or dry camping. A fifth wheel also has a fair amount of moving parts, causing it to require more maintenance. And it can also be used full time if you desire. This is an issue that the competition has more of an issue with. While you can use a trailer for weeks at a time, utilizing it full time can be a huge chore, if not outright impossible to accomplish. These don’t have that issue, however, as you are able to hold a lot more in it and use it for even years on end if you maintain it properly. Everyone wants the comforts and convenience of having the luxuries of home when vacationing in a recreational vehicle. Enjoying a freshly brewed cup of joe is no exception, and that is why you should have the best coffee maker onboard. The best coffee maker can be summed up in three words; compact, convenient, and reliable. Several circumstances dictate what type of brewer you need with you on the road, but the whole point is not to compromise on quality. Our roundup of the best RV coffee maker reviews should give you a headstart in finding the right one for your camper.